Ghana should be able to submit its Intended Nationally Determined Contributions (INDCs) before the deadline of end of September 2015, according to government officials. An INDC is a government's proposed 'contribution' to the United Nations as to what it will do about climate change. It is both a political and technical task because the information included in governments’ INDCs will serve as building blocks of the Paris climate agreement. Countries that fail to submit their INDCs will miss out of the synthesis report and the seriousness of the country in the negotiation process would be questioned. The Ghana Agenda for INDCs is spearheaded by the Ministry of Environment, Science, Technology and Innovation (MESTI). Peter Justice Derry, Deputy Director, Climate Change at the Ministry, says there would be “back-to-back meetings” of stakeholders in the final days ahead to meet the deadline. 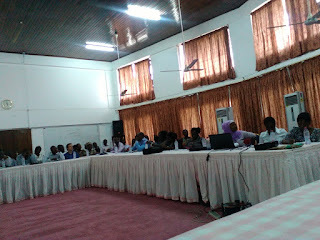 “We are worried [because] we want to see ourselves in that synthesis report and so we must make sure that we meet the deadline or else we miss out,” he told a national Forum on the INDCs, organized by the Ghana Climate Change Coalition (GCCC) in collaboration with the Pan African Climate Justice Alliance (PACJA) and Abantu for Development. The forum is part of efforts towards enhanced CSOs action in the climate change discourse and the INDCs in Ghana. “The role of civil society organizations cannot be under-played because all over the world when there has been concrete change; change that has actually benefited citizens, it has been from the push and campaign of civil society,” said Dr. Rose Mensah-Kutin of the GCCC. Seven African countries have so far submitted their INDCs – Gabon, Morocco, Ethiopia, Kenya, Benin, Djibouti and DRC. The position of the Global Campaign is that INDCs should be comprehensive and address all elements of the climate crisis – including the need for transfers, the necessity of adaptation, and the rights of impacted people. 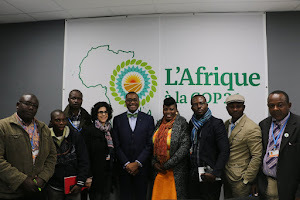 According to Patience Damptey, a member of the African Group of Negotiators and Convener of Gender Action on Climate Change for Equality and Sustainability (GACCESS), adaptation is included in all the INDCs from African countries. She says actions to be undertaken in Ghana’s INDCs from 2020 to 2030 would be on four strategic areas – agriculture and food security; climate resilient strategic infrastructure; equitable social development; and sustainable natural resource management. Ghana, as a member of the Conference of Parties (COP) and signatory to the United Nations Framework Convention on Climate Change (UNFCCC) needs to internalize the signed convention. “We need to carry out obligations in-country to domesticate the objectives of the convention,” noted Mr. Derry. Ghana launched its National Climate Change Policy (NCCP) in July 2014 with a Vision to “ensure a climate-resilient and climate compatible economy while achieving sustainable development through equitable low carbon economic growth for Ghana”. A strategy has also been developed outlining the necessary actions needed to be undertaken to meet the aspirations and objectives of the Policy. The INDCs therefore provide an opportunity to set standards for Ghana in the implementation of the NCCP. Ghana’s INDCs are focused on both mitigation and adaptation, whilst the basis of implementation is based on conditional – what the country can do with external support; and unconditional – what the country can do without external support. There is a proposed conditional 35percent reduction target by 2030. Civil society is however not enthused at the pace in preparing Ghana’s INDCs and is keeping keep a critical eye on the country’s submission timelines. “I am not happy with the process,” stated Dr. Mensah-Kutin. “I think the timelines are too tight but we are hopeful; we have to be able to submit because in the summary if your voice is not there, then we are unable to access the opportunities that are in there”. According to Mr. Derry, financial constraints in accessing technical assistance delayed the text preparation because Ghana resisted attempts by development partners to engage external consultants in preparing the INDCs. He is however excited that the country is utilizing internal capacity to prepare home-grown INDCs. “We are not going to give our watches to anybody to look at it and tell us our time,” stated Mr. Derry. “We have a Made-In-Ghana INDCs and not an INDC that has been superimposed on us; so be rest assured that the INDCs that are being prepared are prepared by Ghanaians, for Ghanaians and would be implemented by Ghanaians”.